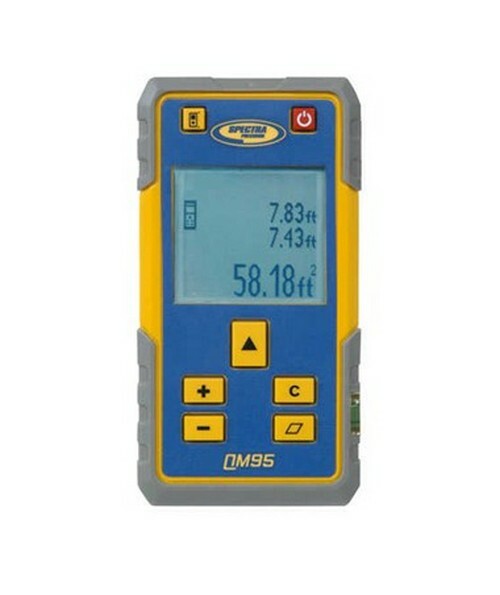 The Spectra Precision QM95 is a highly accurate laser measuring tool designed for indoor and outdoor use. Able to take measurements up to 650 feet away, this handheld measuring tool has the longest range and greatest accuracy out of all the laser distance meters from Spectra. It also features a large backlit LCD and includes a complete set of functions for construction including area, volume, continuous measure, indirect (pythagorean) measure and stake out. The QM95 has an accuracy of ±1/24 inch. 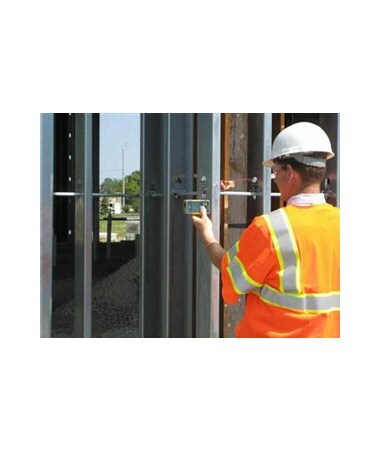 Perfect for larger jobsites, it is ideal for continuous measuring, addition and subtraction, area measurements and single measures. With an extra-large LCD screen, measurement information and battery status are easily viewed in varying lighting conditions. 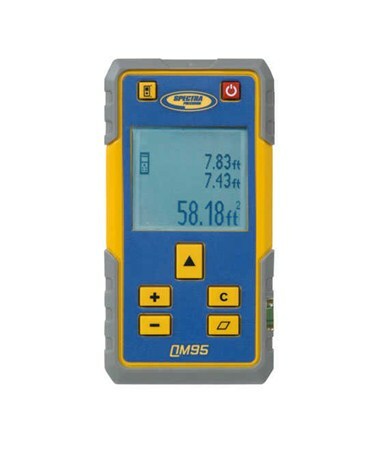 Designed with durable plastic, rubber over-mold, and clever electronic isolation, this Spectra laser distance meter is easy to store and transport in your pocket and can withstand drops from up to five feet high and other abuse found on construction jobsites. With a rating of IP54, the QM95 is protected against dust and water splashes from any angle. It also has a long-battery life up to 8,000 measurements, battery life indicator and automatically shuts off to conserve power. 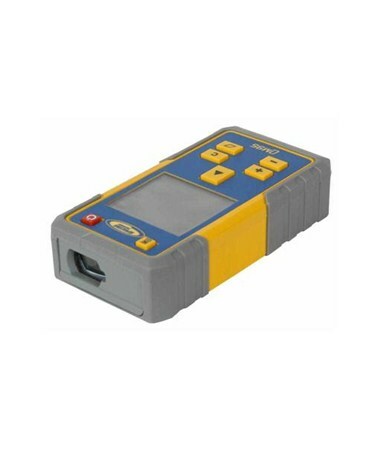 This Spectra laser measuring tool comes with a 3-year manufacturer’s warranty.